FOLIC acid, the vitamin linked to the prevention of birth defects, may also prevent and help treat depression. In two trials, around 1,000 people are being given a daily dose of folic acid, the synthetic form of the vitamin folate. In one new trial, at the University of Oxford, researchers are looking at whether it can prevent new episodes of depression in young people. 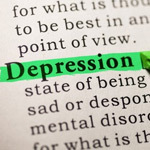 In the second trial, at Bangor University, North Wales, researchers are treating adults with moderate to severe depression. Research shows that up to a third of people with depression have low levels of folate. Studies have also shown that the greater the folate deficiency, the more severe the depression symptoms. People with low levels also have a poorer response to antidepressants.